Take your blog and marketing to the next level. Get Shareaholic now. In the world of pay per click (PPC) marketing, there are plenty of blogs about PPC, but how can you use your blog to enhance your PPC campaigns? Well, let me back up a second. In case you are not familiar, PPC is a popular form of online marketing where you bid on a keyword used in a search engine or for a placement in a content or display ad network. If a user triggers your ad and then clicks it, you pay no more than the max amount you had decided to bid. Hence the name: pay per click. So, now back to my question: How can we use a blog for PPC? The first thing to understand in PPC is the keyword. Keywords are phrases that we bid on that we think will have value in regards to our business objectives. For example if I am a personal injury lawyer in Chicago, then a keyword like “personal injury lawyer Chicago” might be valuable. As a pay per click advertiser, I get to determine where a click on my ad leads, and this means I get to sculpt a user’s experience. The better your landing page connects to your keywords, typically the better your results will be. 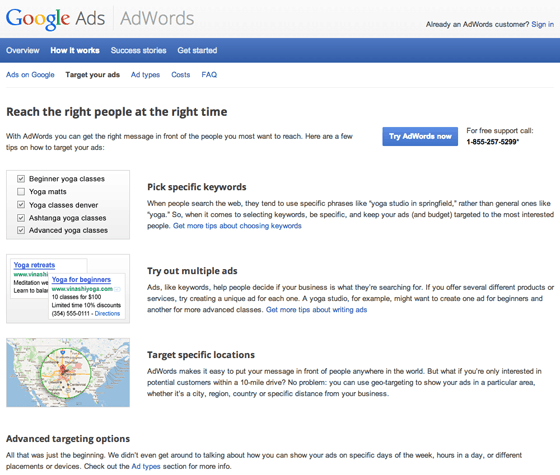 When someone searches for a keyword and clicks a PPC ad, they have certain expectations. By meeting these expectations and delivering what a visitor wants and expects, you can find a high level of success through PPC advertising by providing an excellent user experience. Whether you want to sell more widgets, get more newsletter subscribers, or get more RFIs (Request for Information), your website and the page someone lands on is going to have to do the heavy lifting. Sometimes, your existing website just doesn’t take advantage of all the search traffic out there. Sometimes, you may want to bid on a keyword that doesn’t really fit in your site’s existing hierarchy. At times like these, you may want to create a blog post that caters very specifically to what people are out there looking for. By creating a unique blog post that caters to a very specific topic, you can quickly take advantage of new trending topics or page ideas that you simply didn’t think of when first drafting up the content for your website. By being so relevant and having a very high correspondence between keyword, ad copy and landing page, Google will also reward you through a higher Quality Score, which leaves you paying less per click than your competitors. Let’s go back to my example above: Let’s say I’m a lawyer in Chicago, but I don’t have a page detailing my success with car accident law. I can create a new blog post that contains all the pertinent information about this type of case. I can then send traffic from keywords like “Chicago car accident attorney” to this page rather than to a more general home page. This new page will cater more directly to what someone is looking for, and it should be more compelling than if we had sent this visitor to a page where “car accident” was just one line in a list of bullet points. This approach also helps tremendously on the SEO side as well, but ranking organically will be an ongoing work-in-progress. Through PPC ads, you can get out there and test the waters almost immediately (well, you do have to write your content, do your research, draft your ads, etc. – but you get the idea). That way, you can even find out whether or not it’s worth prioritizing this landing page through SEO methods, which typically take longer to deliver traffic and value. By building a high quality landing page on your blog, you can more effectively cast a wider net and target more keywords across your website while delivering a high quality experience to those who find your website. Now, just make sure you add a strong call to action in your ad and on your landing pages, and in no time, you’ll generate excellent results when you utilize your blog to amplify your PPC initiatives. Nathan Pabich is the Director of Paid Search at Digital Third Coast, a search engine marketing company based in Chicago. You can connect with Nathan on Google+. p.s. If you’re interested in contributing to the Shareaholic blog, read our guest blogger guidelines and let us know what you’d love to write. Want to help us build better products for hundreds of thousands of websites and hundreds of millions of consumers? See our job openings.